Love is the ultimate game changer…and this time it’s winner take all. Now that his lover is back in his arms, Belphagor is taking his own sweet time to say the words Vasily longs to hear: “You’re my boy.” And savoring the sweet torture of driving the firespirit into a frenzy of unfulfilled need. As the undisputed master of Heaven’s gaming tables, Belphagor never plays unless he’s certain of winning. But this time, political machinations send the game—and Vasily—tumbling to the brink of even his formidable control. Vasily can’t deny enjoying their delightfully edgy play—until the airspirit auctions him off for a night to the one demon with a gift for taking things too far. Seductive Silk, tight-lipped about the end of his relationship with the sweet submissive Phaleg, may also be involved with a new faction threatening the pregnant queen of Heaven. Belphagor couldn’t be less interested in the games angels play, but when angelic and demonic intrigues overlap, he’s drawn in against his will. And forced to break his one inviolable rule: Never gamble what you can’t afford to lose. Warning: Contains more than a mouthful of m/m ménage, with intense D/s situations featuring intricate rope work, balaklavas, and a flurry of snow. 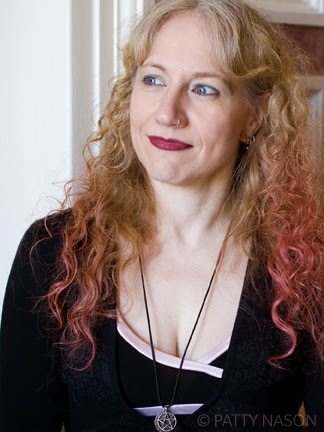 Jane Kindred is the author of The House of Arkhangel’sk trilogy, the Demons of Elysium series, and The Devil’s Garden. Born in Billings, Montana, she spent her formative years ruining her eyes reading romance novels in the Tucson sun and watching Star Trek marathons in the dark. She now writes to the sound of San Francisco foghorns while two cats slowly but surely edge her off the side of the bed. You can find Jane on her Twitter account and Facebook page—both of which are aptly named “janekindred"—and on her website, www.janekindred.com.